2 scarves received from the “Threads of Compassion Infinity Scarf – Buy One, Give One” program offered on Etsy. We are excited and thankful to announce that Crochet by Vanessa Rae brought 2 scarves to our last work day. 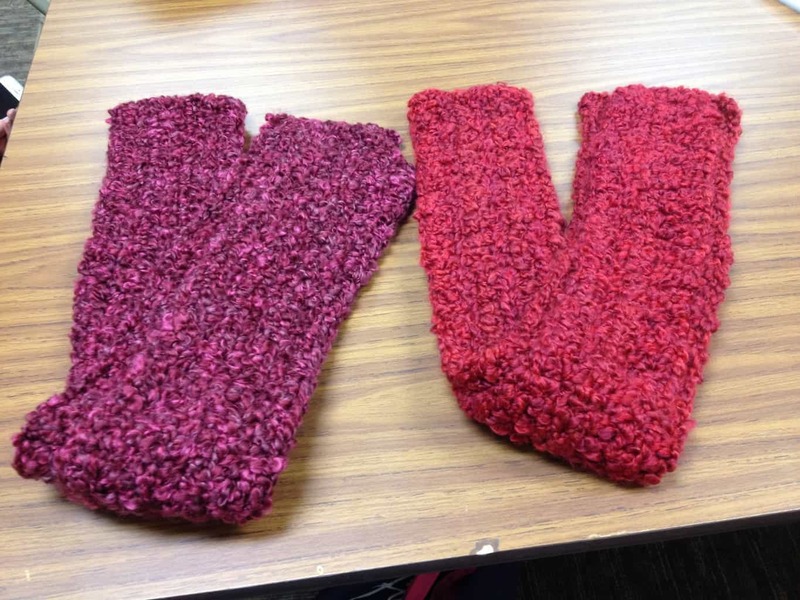 These were donated in response to her offer on Etsy to buy a scarf and give a scarf. It’s such a neat program! These 2 scarves are not only beautiful, but also very well-made. It’s nice to be able to offer such great products to our recipients. If you happen to be looking for a unique Christmas gift there is still time to order from her and donate to Threads as well as have a gift for a friend. Next PostNext Thanks for the reminder!